Series 3 is almost upon us! Hooray! Our shipment is arriving on the sunny shores of California today and should be hitting retailers in a week or two after we clear customs and truck it over to the distribution center! 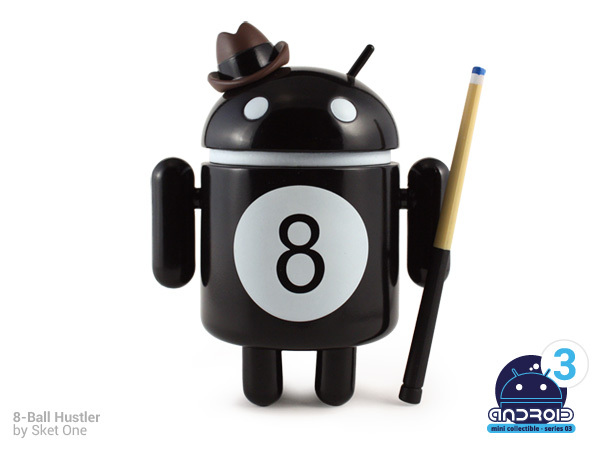 Let’s count down the days with a few design previews, starting with Sket One’s glossy conman, 8-Ball Hustler. This slick black fedora wearing pool player also includes a cue accessory.